Schedule an appointment with your family doctor as soon as you think you might be pregnant or have a positive home pregnancy test. 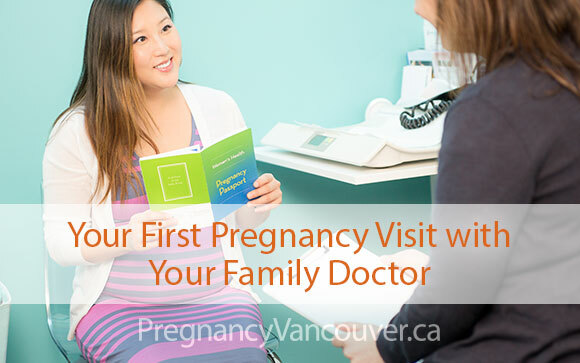 If you do not have a family doctor, you can look for one at pregnancyvancouver.ca. If your family doctor doesn’t provide maternity care, they can refer you to a family doctor who specializes in maternity care, a registered midwife, or an obstetrician depending on your preference. It’s important to get started on your prenatal care right away. What is your philosophy of care for pregnancy? What are your recommendations for my weight gain in pregnancy? How do I reach you if I have urgent concerns or questions? How will test results be shared with me? Keep a list of questions that come up between visits. You will soon discover that friends, family and the general public may see your pregnancy as an opportunity to offer advice to you on all kinds of pregnancy related topics. Remember to check with your doctor about advice given by others as well as online advice since this advice may not be accurate. Family doctors have a wide range of medical expertise and can answer questions about a variety of health concerns – not just those related to pregnancy. Refer to BC Women’s Health Pregnancy Passport to find out what to expect for your care, questions to ask, and decisions you need to make.